Below is a presentation of all of the organisations involved in Theatre Café Festival Oslo. The festival is part of Theatre Café Festival Europe 2014 – 2015 a collaboration between Company of Angels (UK), GRIPS Theater (DE), Toneelmakerij (NL) and Imploding Fictions / OIT (NO). Company of Angels is at the cutting edge of new work for and about young people, in theatre and other media. 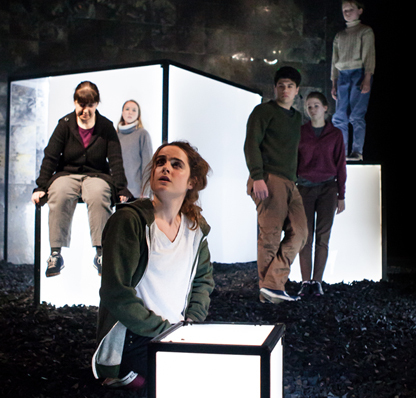 For eleven years the company has toured groundbreaking plays to young people nationally and internationally. Meanwhile, through a range of research projects and development schemes, the company explores and documents new ideas, encourages the next generation of theatremakers and directly engages young people, including ‘hard-to-reach’ groups both within and outside school settings. The company is strongly influenced by European theatre practice, and is especially interested in work that revolves around advocacy and social change. The company curates Theatre Café, a regular festival of new work for young people from around Europe, and has an outstanding track record in participatory projects in schools with The Commissioners, working with asylum seekers, young mothers and troubled teenagers. Through its celebrated Young Angels programme, the company offers opportunities, mentorship and bursaries to emerging practitioners. Company of Angels is one of Arts Council England’s National Portfolio Organisations and has received regular funding since 2004. Photo from Nordost by Company of Angels. Nordic Black Theatre was established in 1992 by Jarl Solberg, director and Cliff A. Moustache, artistic director. They produce theatre productions and other cultural events, alone and in collaboration with a wide spectrum of artists and institutions. Nordic Black also run their own theatre school, Nordic Black Xpress (NBX), developing young transcultural actors. 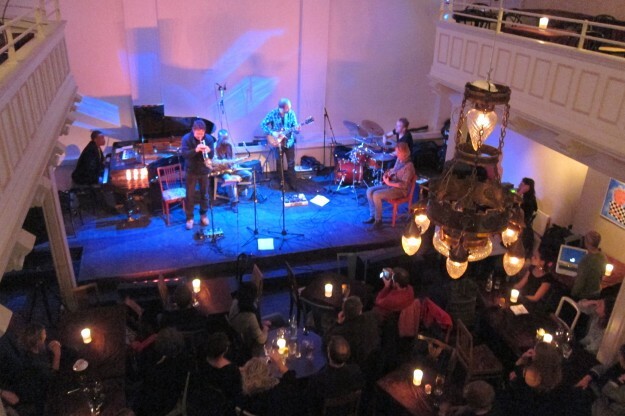 Having had several homes around Oslo, they are today situated in Cafeteatret, which they bought in 2010. It has been a magnificent success with lots of theatre performances, concerts, family events, festivals, movie nights, conferences and more. With Nordic Black Theatre at the steering wheel the venue has become the cultural focal point of the east side of Oslo, being a vibrant home for multicultural artists and audiences alike. 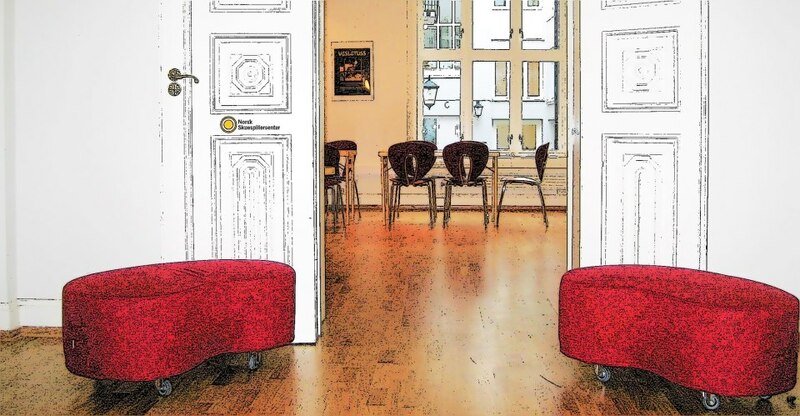 Cafeteatret is located in central Oslo in a beautiful building from 1895. The building was originally a methodist church (discontinued in 1967) built with very good acoustics and beautiful Neo-Rennaisance interiors. The venue has a packed programme every month and works as a café both during the week and the weekends. Theatre Café Festival Oslo takes place at Cafeteatret from 25th to 27th April 2014. Students from NBX will perform in one of the rehearsed readings during the festival. 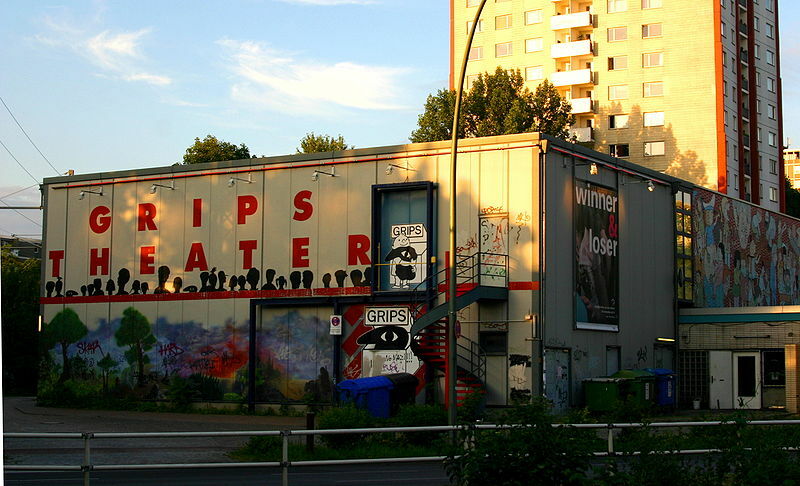 The GRIPS Theatre in Berlin has been developing realistic plays with head and heart for youngsters since the 1960ies. With is four to five premieres per year, the GRIPS Theatre caters for all age groups. GRIPS Theater will host several Theatre Café Festival events in 2014 and 2015. De Toneelmakerij is a Dutch repertory company for children, young people and adults. De Toneelmakerij makes multi-disciplinary and socially involved performances for the stage and schools, and for both young and old throughout the country. Toneelmakerij will host Theatre Café Amsterdam spring 2015. 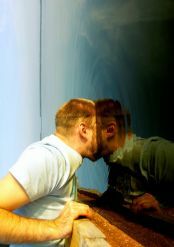 Photo from the poster of Eg Ik I, a collaboration between Toneelmakerij and Det Norske Teatret. 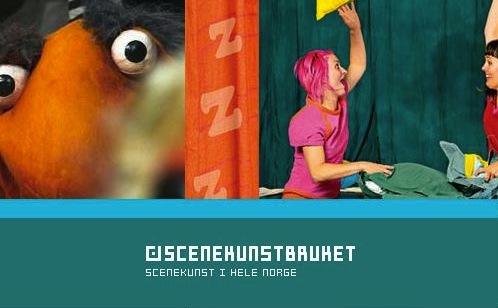 The Norwegian Actors’ Centre is a resource and training centre for professional actors and theatre makers. They provide workshops, seminars, master classes, networking events and other industry events for actors all over Norway. Adam Barnard from Company of Angels will lead a workshop at Norsk Skuespillersenter 23rd – 25th April, culminating in a work showing at Theatre Café Festival Oslo. The Norwegian Touring Network for the Performing Arts (NTNPA) is a national promotion system for performing arts and the principal and largest nationwide mediary of stage arts for the age group 0 – 20 years. NTNPA also acts as a mediator between performing arts productions and The Cultural Rucksack. The panel debates during Theatre Café Festival Oslo are presented in collaboration with Norsk Scenekunstbruk. The Children’s and Youth Theatre Centre in the Federal Republic of Germany is a unique national and international institution. It develops and promotes theater for young audiences, promotes the theater for young people and with young people, support artists and educators in their theater work and represents the interests of the actors in politics and society. The German plays performed during Theatre Café Festival Oslo are presented in collaboration with Kinder- und jugendtheaterzentrum. 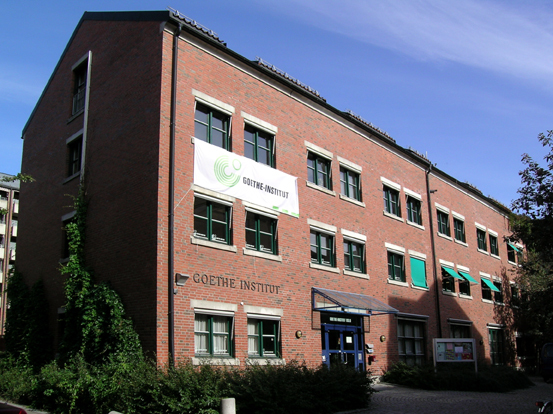 The Goethe-Institut is the Federal Republic of Germany’s cultural institution operational worldwide. They promote the study of German abroad and encourage international cultural exchange. They also foster knowledge about Germany by providing information on its culture, society and politics. Our educational and training products enable mobility in an international learning community. Read more here or about the Norwegian branch here. The translations of the German plays performed during Theatre Café Festival Oslo are sponsored by Goethe-Institut. Camões – the Portugese cultural institute and the Portugese Embassy in Oslo supports playwright Tiago Rodrigues’ visit to the festival. Theatre Café Festival Oslo is produced with generous support from the Culture programme of the European Union. Other funders include Norsk Kulturråd, Stiftelsen Fritt Ord, Goethe Institute, Nordisk Kulturfond, the Danish Arts Council, FFUK, Norsk Skuespillersenter, the Portugese Embassy, Camões – the Portugese cultural institute, Scenekunstbruket, Dramatikkens hus and Norske Dramatikeres Forbund.